Shang Chunsong grew up in China's Hunan province, in a remote village in Zhangjiajie. When she was six years old, she had to traverse a mountain just to get to school. Her brother, who was partially blind, carried her on his shoulders as they made their way to school. In the evening, when it was dark, she helped her brother navigate the mountain on the way home. But Shang wanted her brother to be able to see the world, so she became a gymnast and eventually, an Olympian. 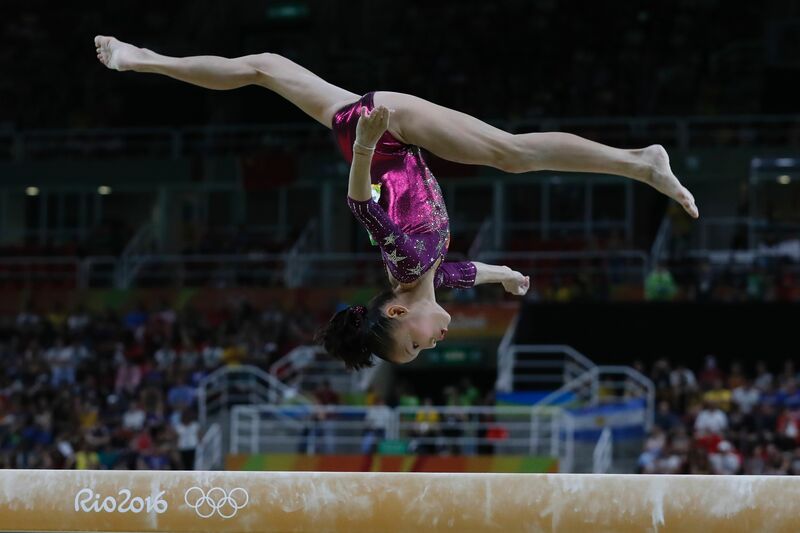 The South China Morning Post described Shang Chunsong's Olympic journey, and her story is truly inspiring. Shang, now 20, grew up in poverty; her parents were construction workers, and her brother dropped out of school when he was 13, so that her family could afford gymnastics training costs. One of Shang's main goals in becoming a gymnast was finding a way to cure her brother's visual impairment. So when she lost out on the bronze medal in the women's gymnastics individual all-around competition at the Rio Olympics, she was devastated, and broke down. Shang lost the bronze medal to Russian gymnast Aliya Mustafina by 0.114 points, and when she burst into tears, her fans shared their support for her on social media. According to Weibo screenshots made available by Mashable, the outpouring of support for Shang was heartwarming. "You are great! You are great! You are great," wrote one user. "I watched the telecast," another said. "Saw Shang crying, so heartbreaking." The 2016 Games were Shang's first time competing in the Olympics, and in many ways she served as her team's leader — particularly because she was the oldest of five members. Despite losing out on the individual bronze by a razor-thin margin, she still managed to help her team win the bronze medal in the team all-around. This is an incredible accomplishment, especially considering that Shang had a cold and missed out on five days worth of training ahead of the competition. The SCMP reported that Shang falls sick quite often, but she always perseveres. When she was younger, she trained hard even though she was malnourished. Even though Shang broke down after her loss, she told the SCMP she hadn't necessarily been counting on a victory. "Actually I didn’t expect I would get anything before the Games, but after the fourth rotation when I saw the result of Aliya Mustalfina was very close to mine, I felt upset at that moment," Shang explained. "I thought I could have won a medal." If social media is any indication, it's clear that Shang remains China's pride and joy — and for good reason. Shang may have missed out on an individual medal at the Olympics, but she has accumulated 13 gold medals from national competitions over the course of her career. She has worked so hard to get where she is, and deserves all the support she is currently receiving.